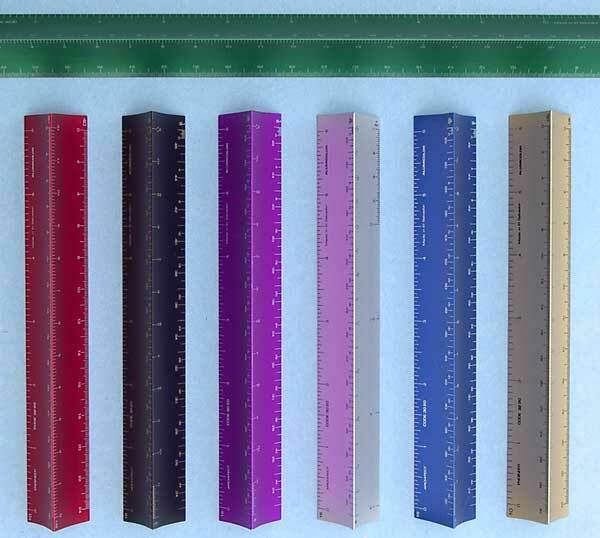 Alumicolor® triangular Drafting Scales are made of extruded aluminum. 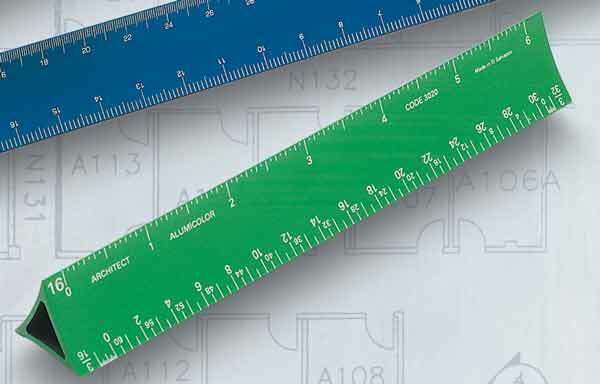 The Alumicolor® photo anodizing process makes the calibrations a part of the aluminum, providing a smooth, tick-free finish and markings that are resistant to cleaners and solvents. 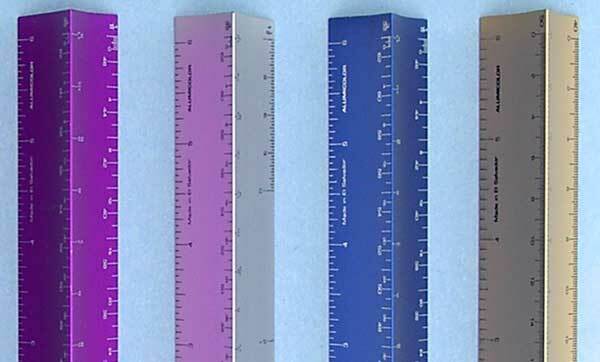 Hollow Scales are lightweight for easy portability and a more affordable price. 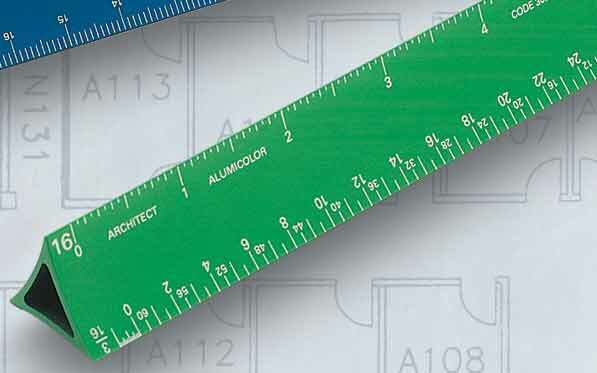 The standard Architect and Engineering versions are available in 6", 12" and 18" lengths.